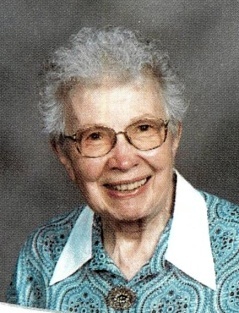 Averyl W. Underwood, 97, of Meadville, died Thursday, July 31, 2014 at UPMC Hamot in Erie. She was born January 24, 1917 in Wayne Twp., Crawford Co. a daughter of James E. and LaRoka Keiter Wheeling. She married Charles Craig Underwood June 25, 1949 and he preceded her in death December 1, 1997. She was a 1935 graduate of Cochranton High School, a 1939 graduate of Edinboro State Teachers College with a B.S. degree in Secondary Education. After graduation she became certified in Elementary Education. Over the years, while working toward a Masters in Education, she continued her studies at Clarion University, the University of Pittsburgh, Duke University and Penn State University. She taught at Cochranton Elementary School for three years and Cochranton Secondary Schools for eight years before teaching for nineteen years in Meadville’s elementary schools, retiring in 1980. She was a member and Past Elder of the First Presbyterian Church, a member and Past President of the Presbyterian Women, member and Past President of Church Women United, charter member of Delta Kappa Gamma, a honorary society for women teachers, member and Past President of the Crawford County Chapter of the PA Association of School Retirees. Survivors, include: a son, Ronald C. Underwood and his wife Sue of Virginia Beach, VA; a daughter, Sheryl Underwood Collins of Erie; two grandchildren, Tyler Collins and Andrea Collins and several nieces. In addition to her husband and parents, she was preceded in death by two sisters, Cleora Smock and an infant sister, Thelma Wheeling and a brother, Philip Wheeling. Calling hours will be Monday from 2-4 and 6-8 p.m. at the Robert W. Waid Funeral Home, Inc., 581 Chestnut Street, Meadville. The funeral service will be Tuesday at 11 a.m. in the Chapel of First Presbyterian Church, 890 Liberty Street, Meadville. Interment will follow in Roselawn Memorial Gardens. The family would like to extend their deepest gratitude for the wonderful care Averyl received to the staff and residents at Parkside Senior Living Community at North East, where she was a resident for the past four years. The family suggests memorials be made to the First Presbyterian Church, 890 Liberty Street, Meadville, PA 16335.